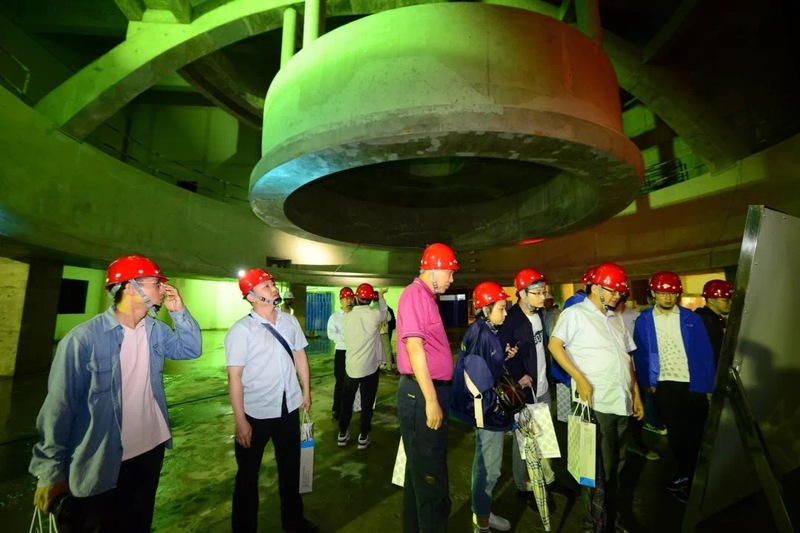 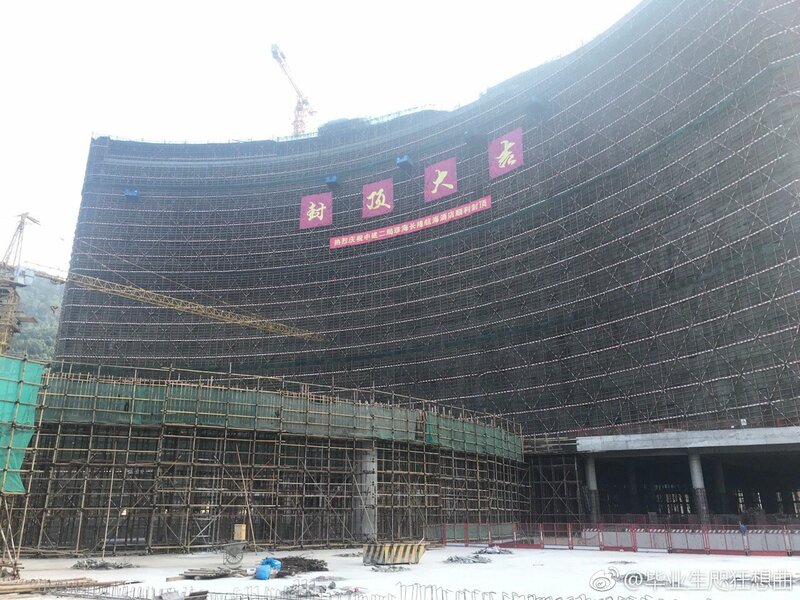 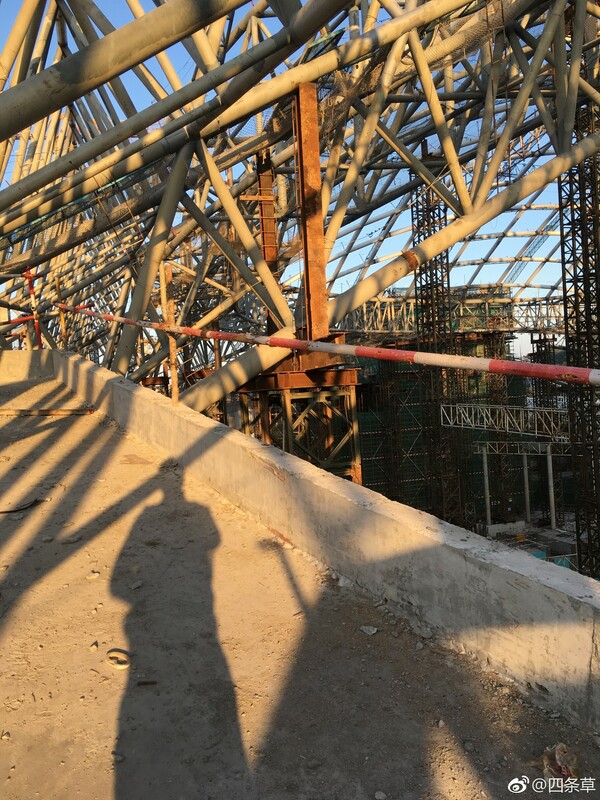 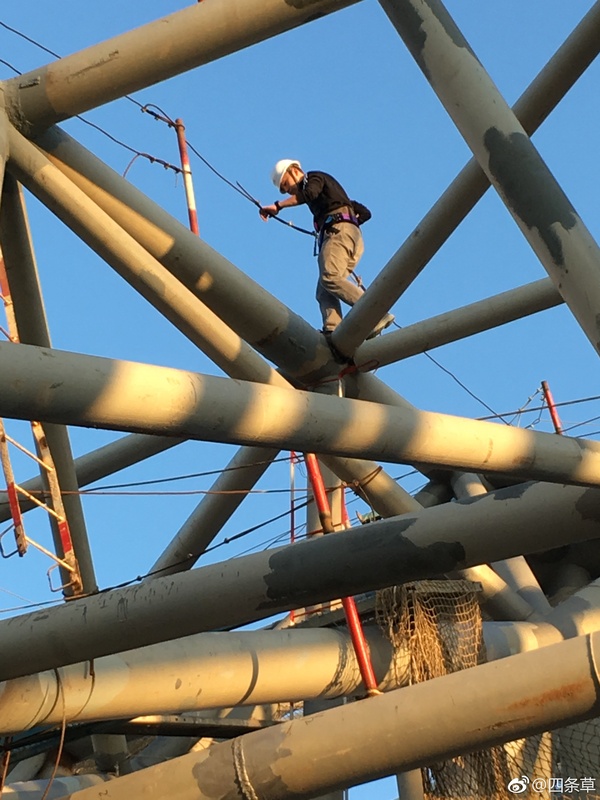 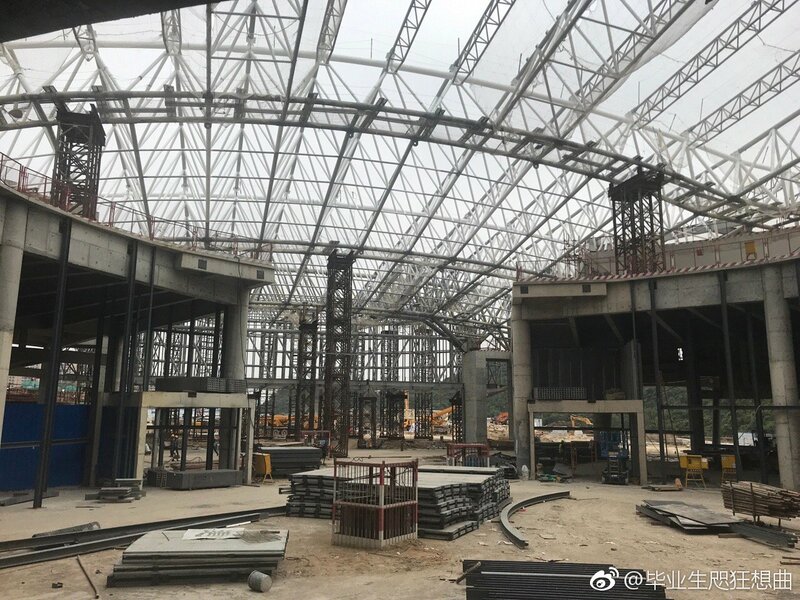 Let's take an in depth look inside Chimelong's next theme park, the first of which to be indoors. 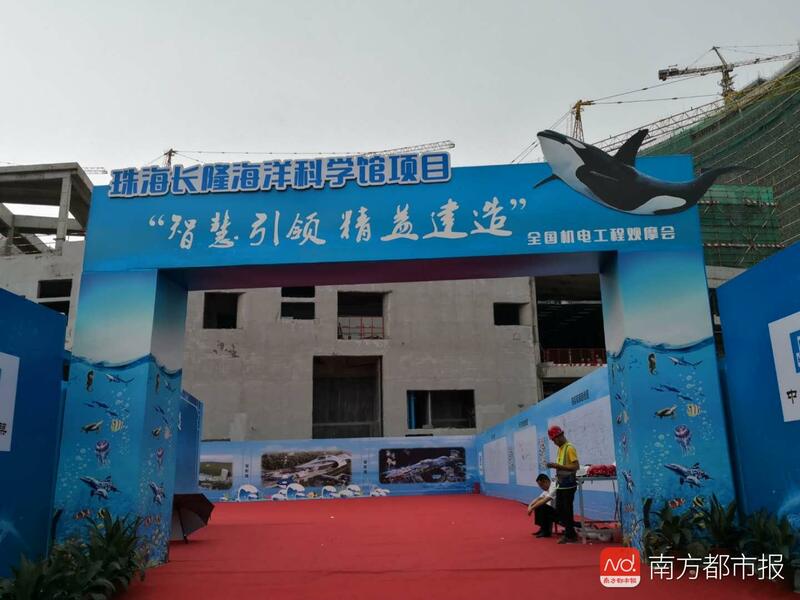 The park's official name is potentially Chimelong Marine Science Park (长隆海洋科学乐园). 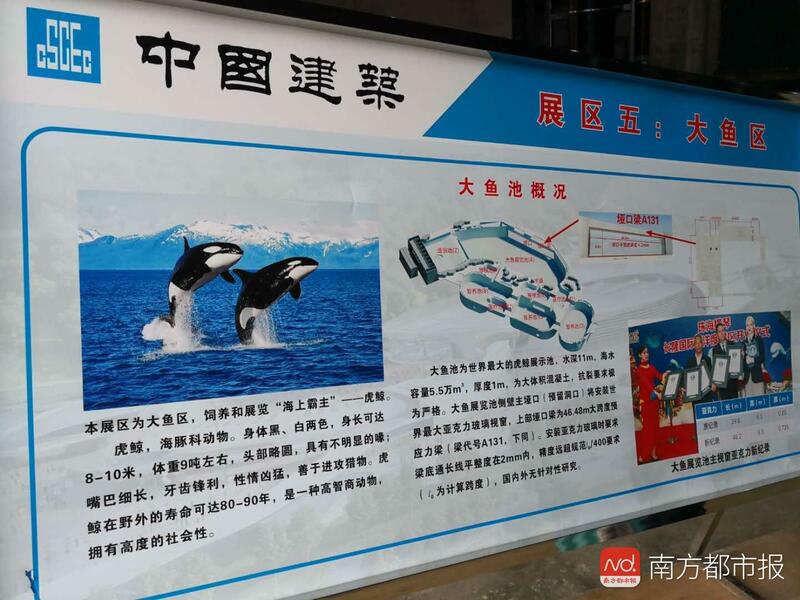 On the way to the park's main attraction, the orcas, guests will pass by many marine animal exhibits including species native to the waters of Hengqin Island and rare Yangtze finless porpoises. 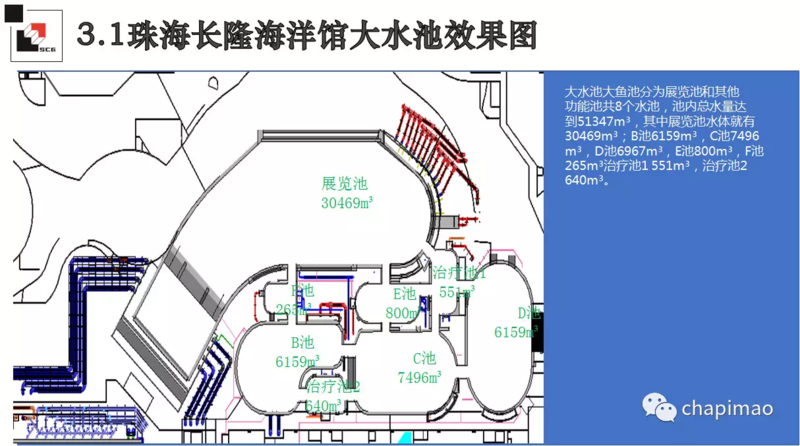 The killer whale exhibit is composed of eight tanks - the surface of the tanks is on the upper level. 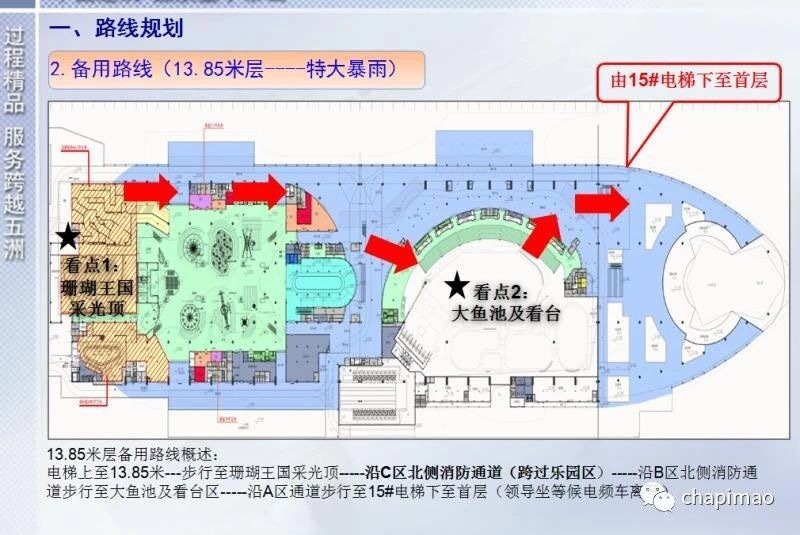 The main tank is the largest and also acts as the show pool. 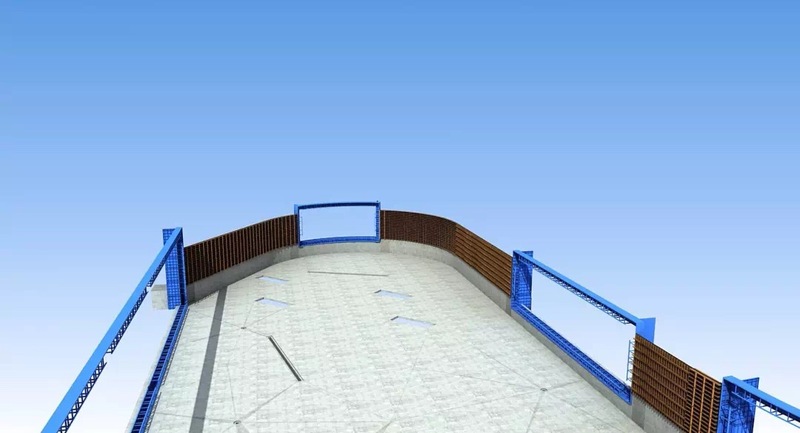 Large underwater viewing windows will surround the main tank which also has a wave machine. 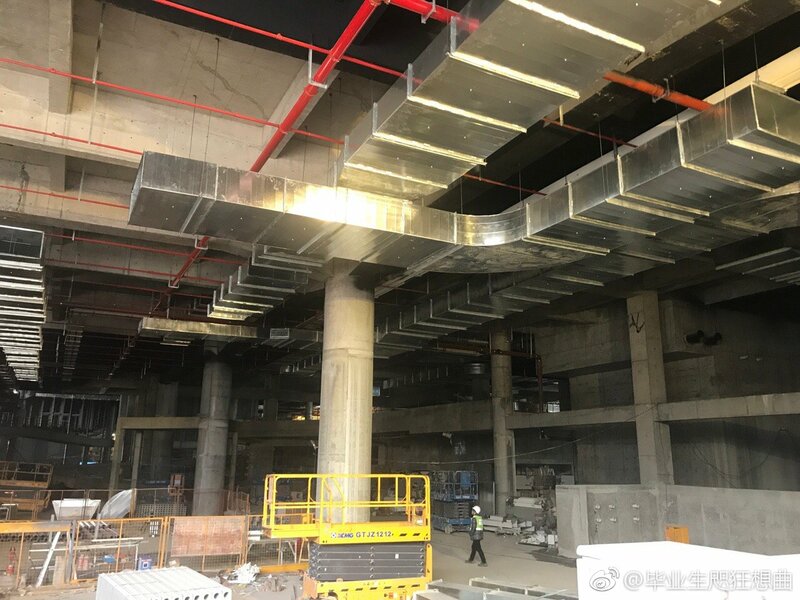 Guests will be able to walk between the main tank and the back tanks by walking under the smaller tanks which are as not as deep. 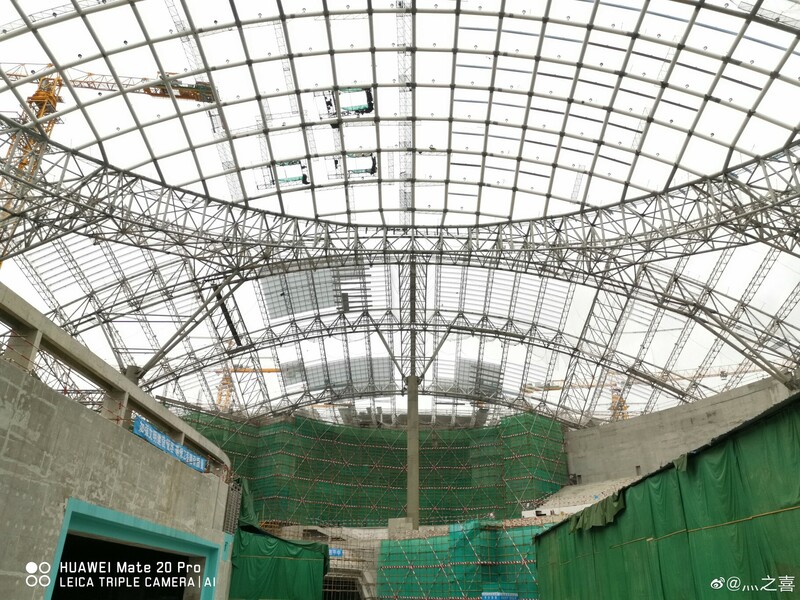 An additional underwater viewing window will be at one of the back pools. 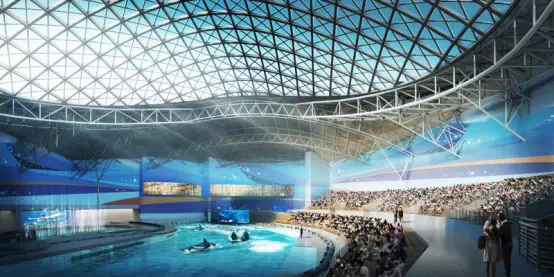 Beyond the killer whale exhibit on the lower level will be additional marine animal exhibits including cichlids and dugongs. 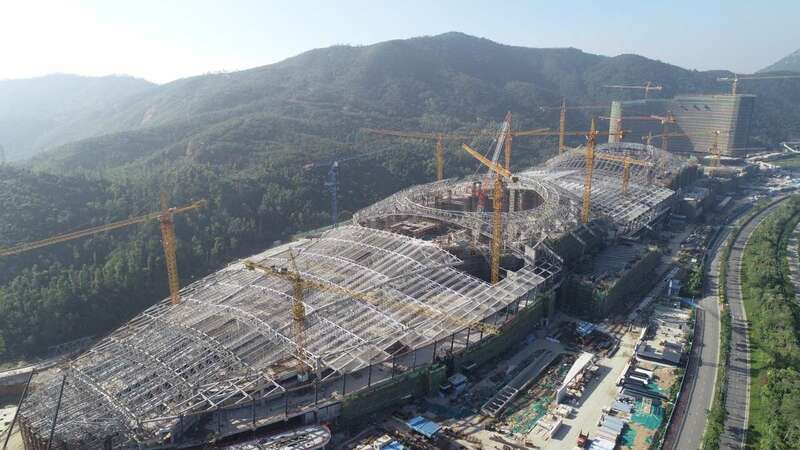 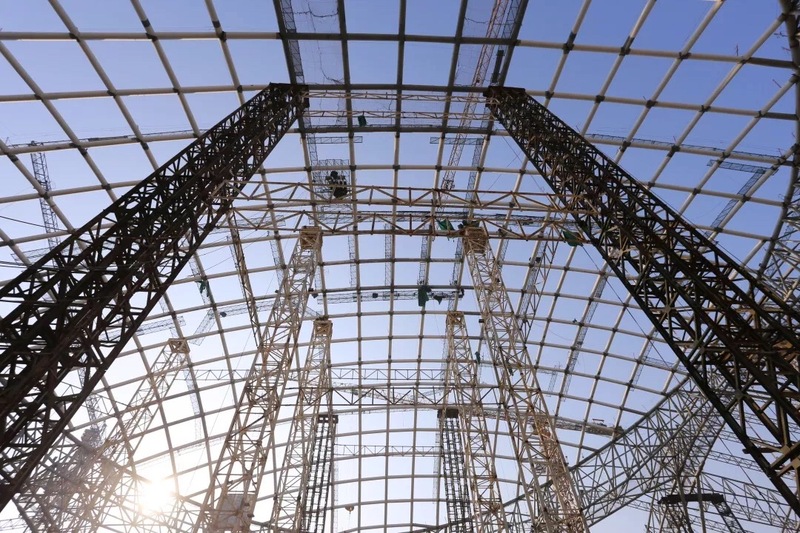 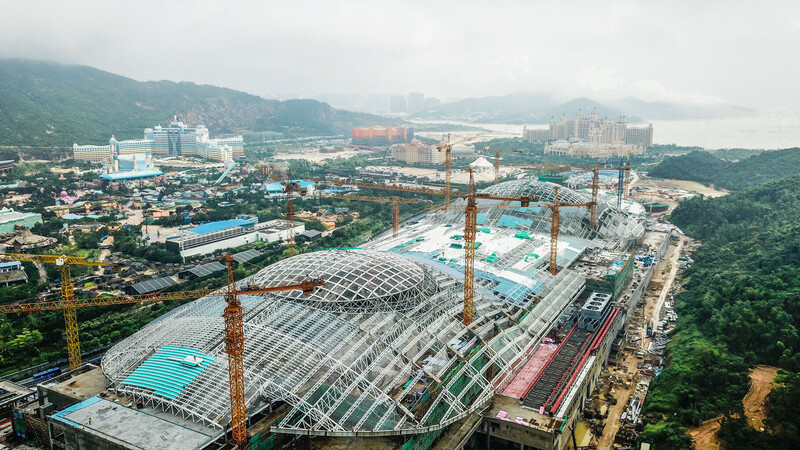 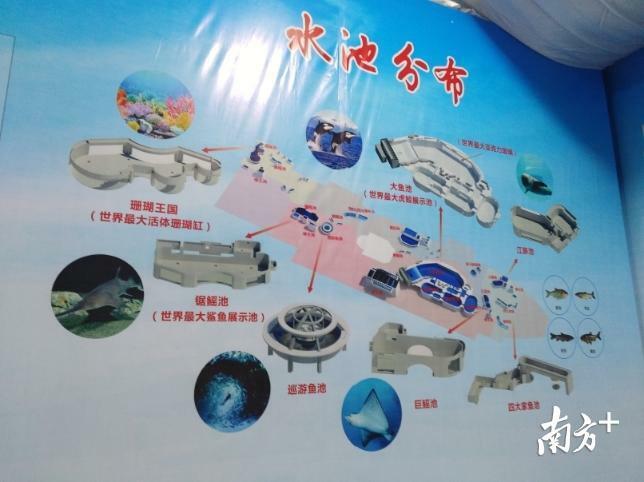 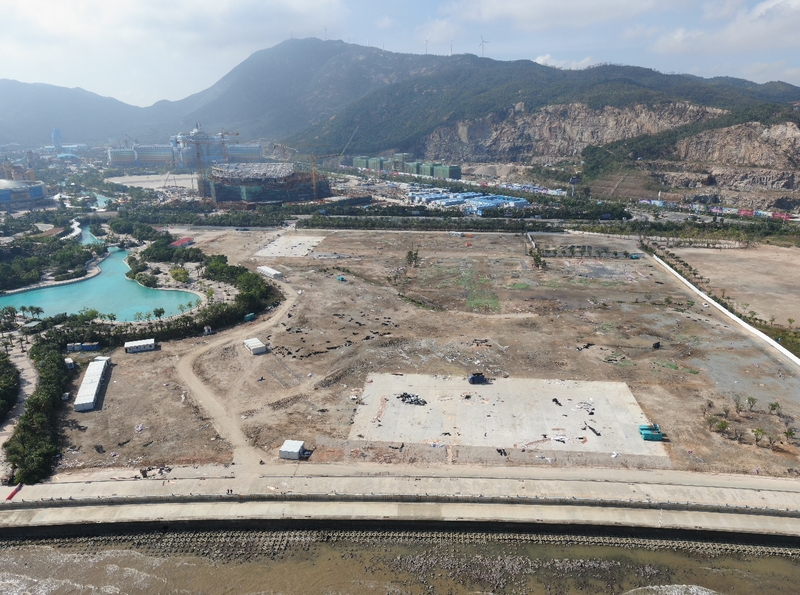 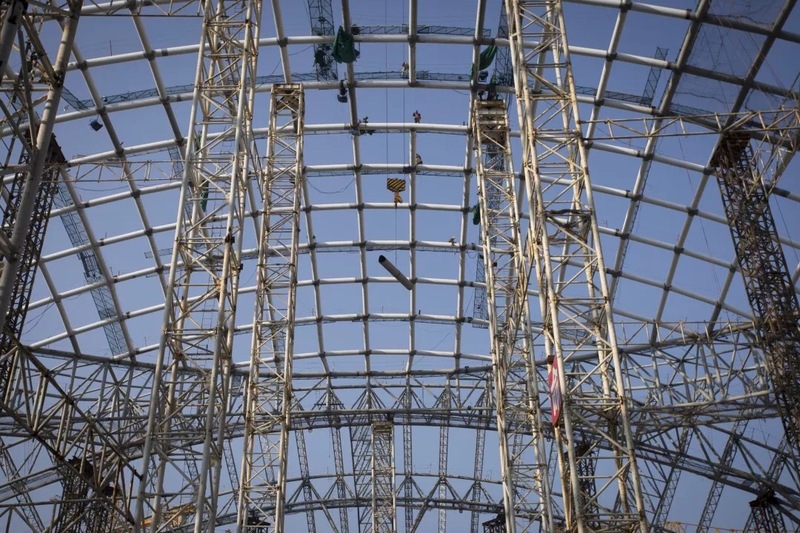 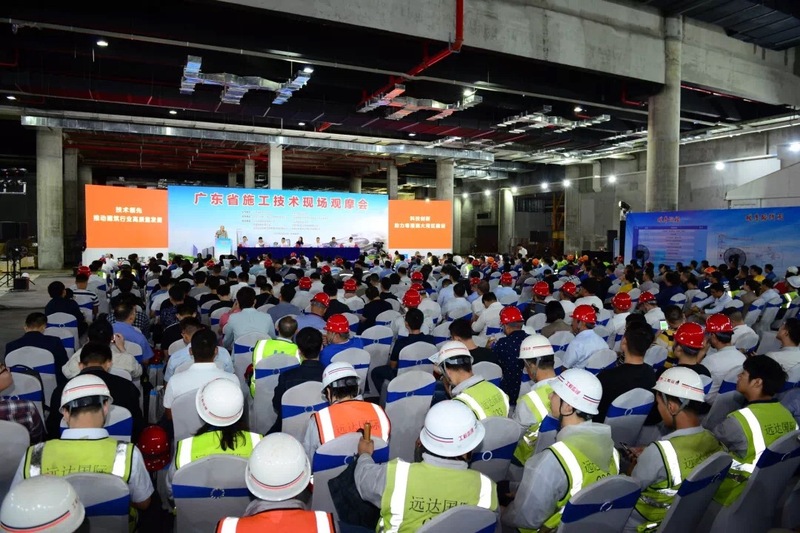 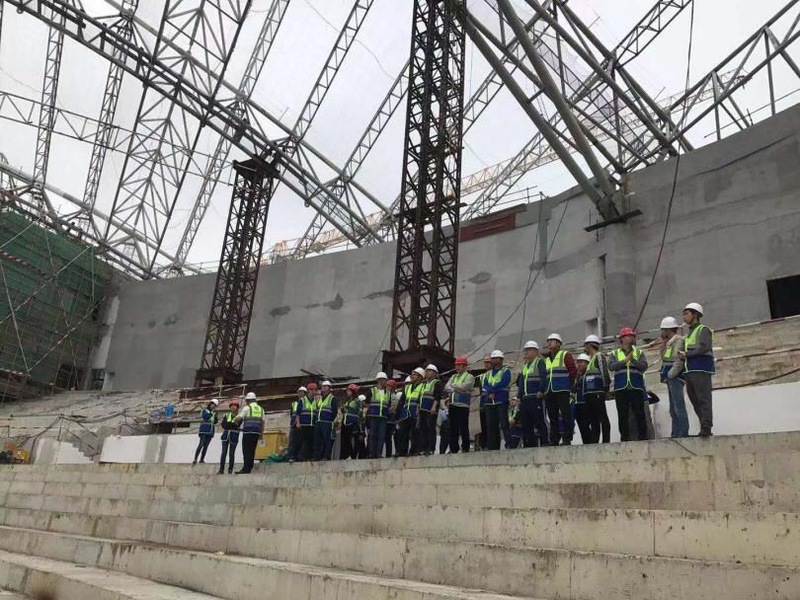 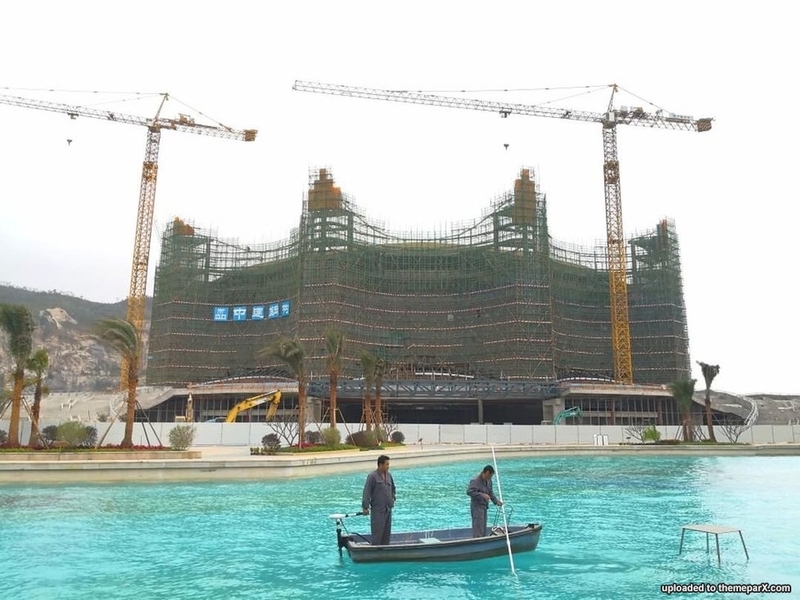 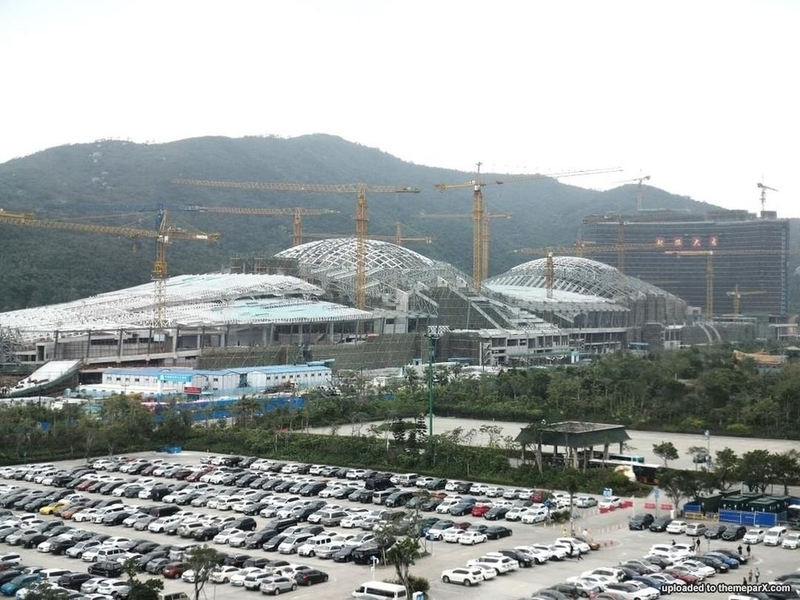 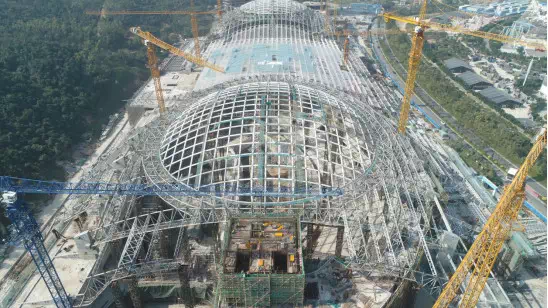 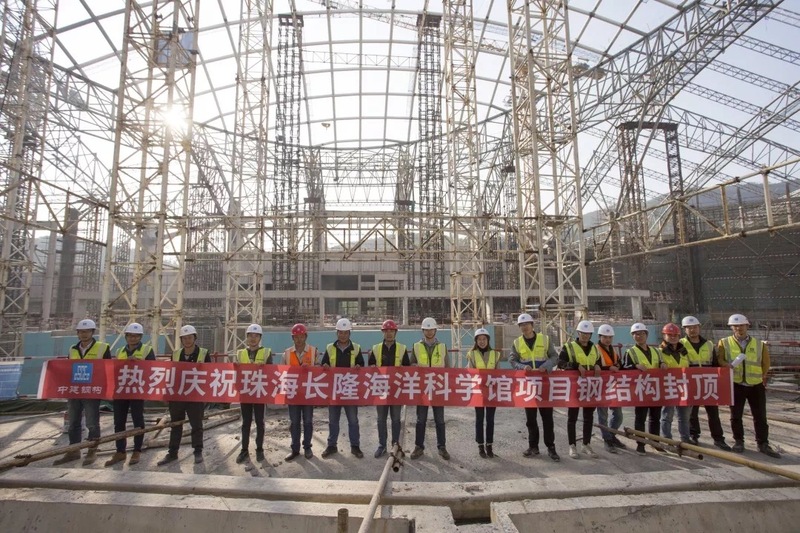 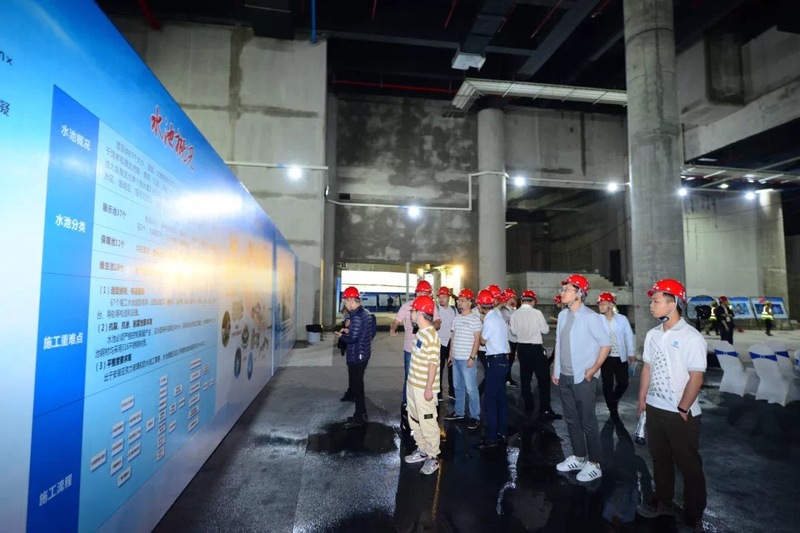 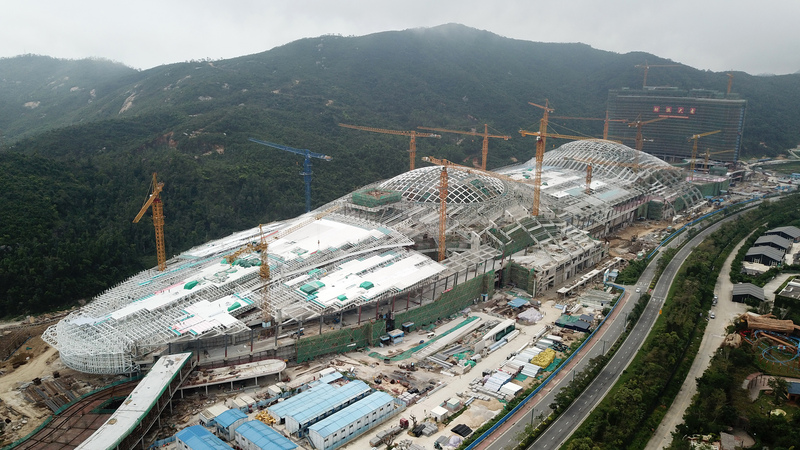 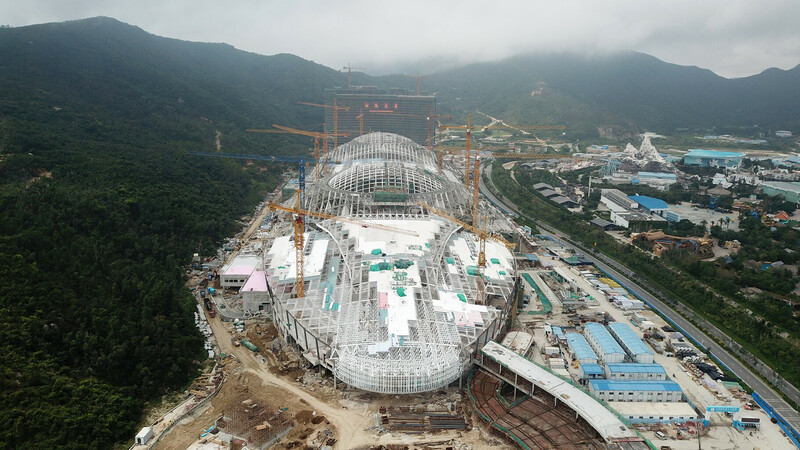 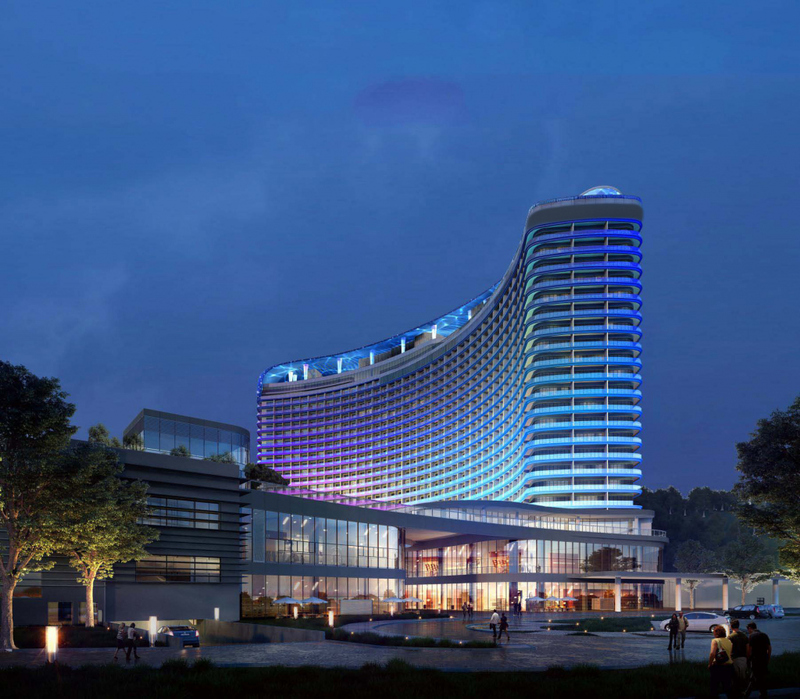 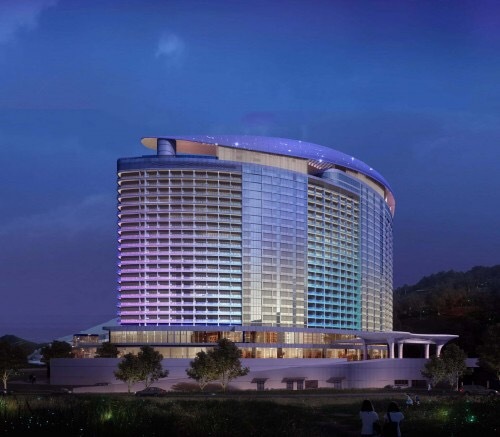 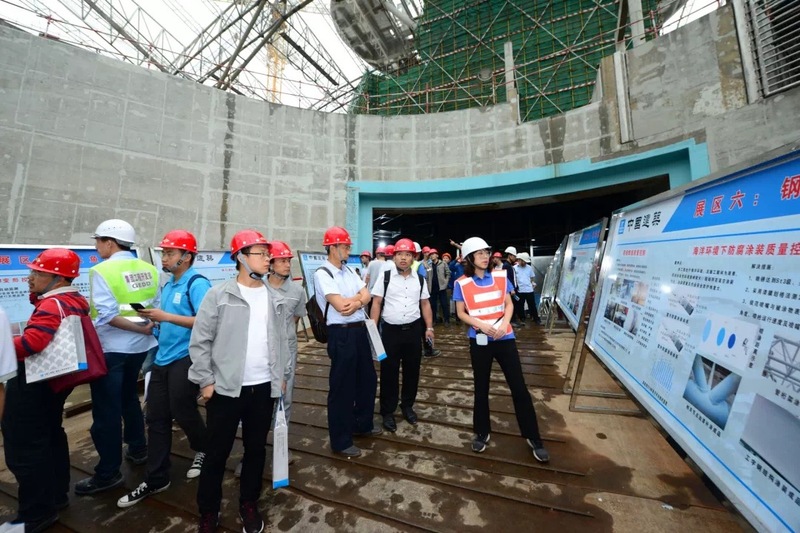 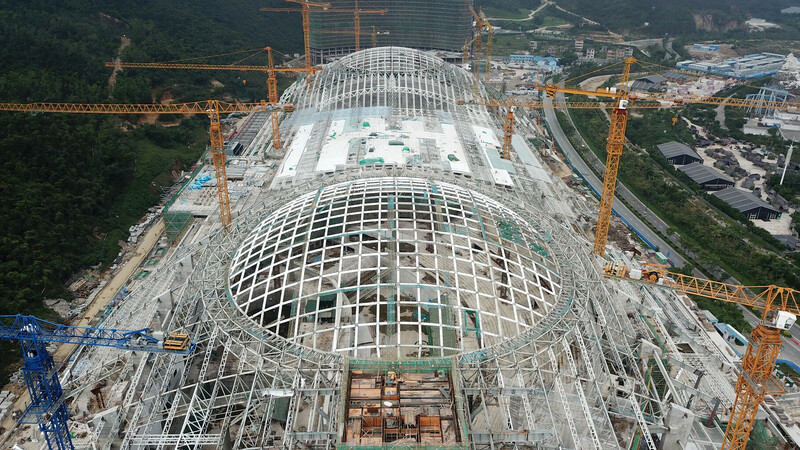 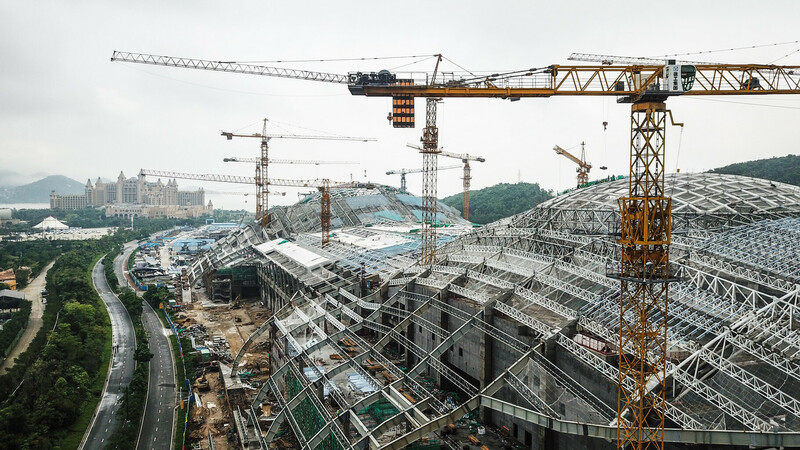 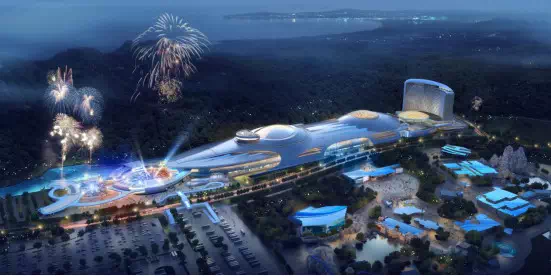 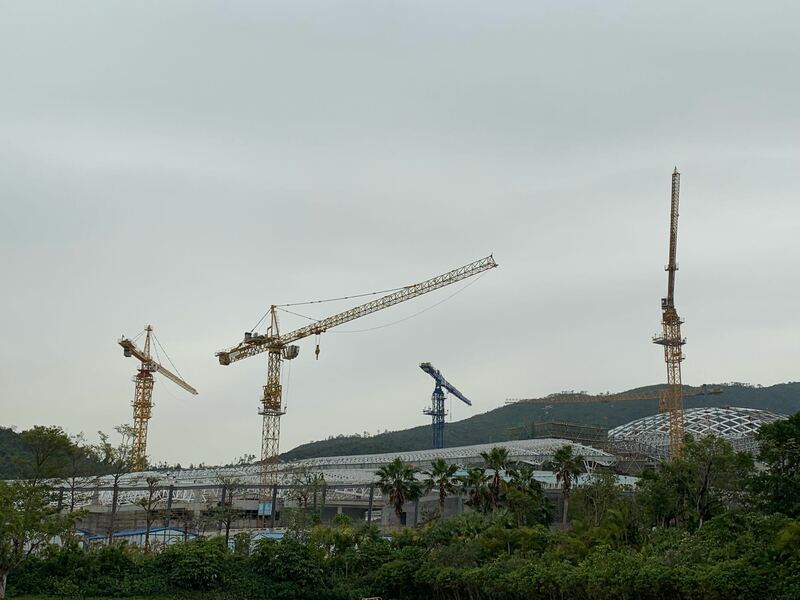 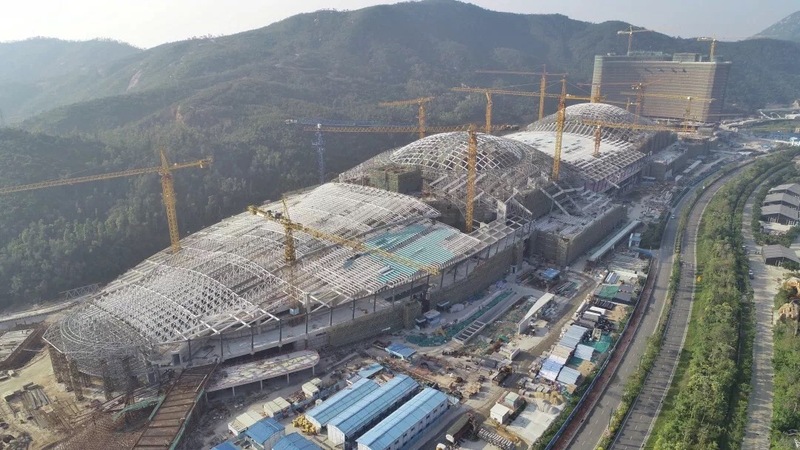 Chimelong Marine Science Park will take some of Chimelong Ocean Kingdom's world records including largest acrylic panel at 46.48 meters by 8.5 meters (current is 39.6 meters by 8.3 meters) which will in turn will also take Chimelong Ocean Kingdom's record for largest aquarium window. 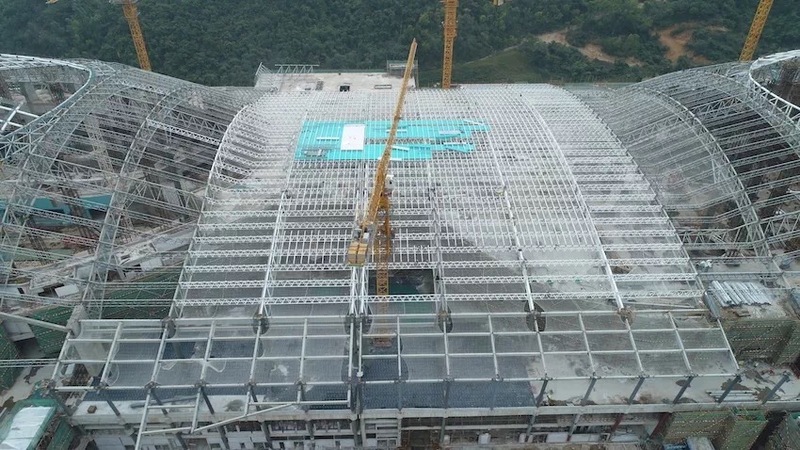 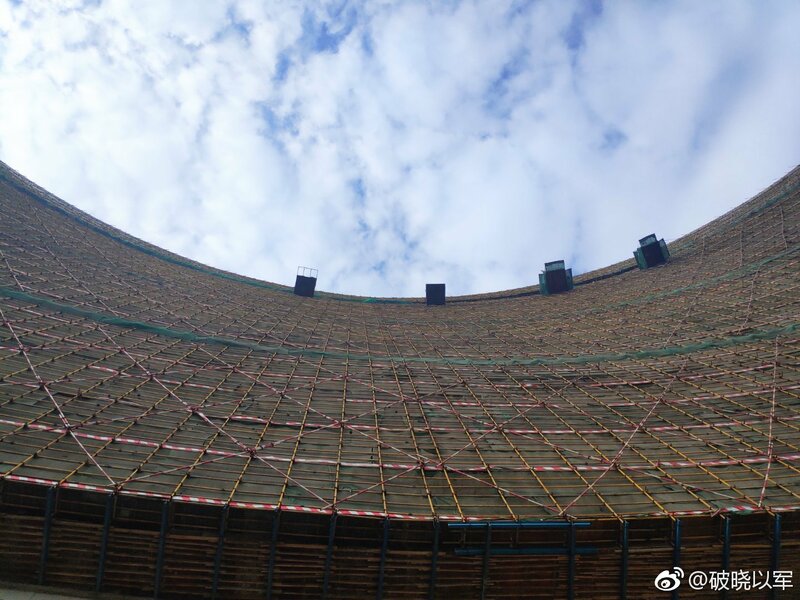 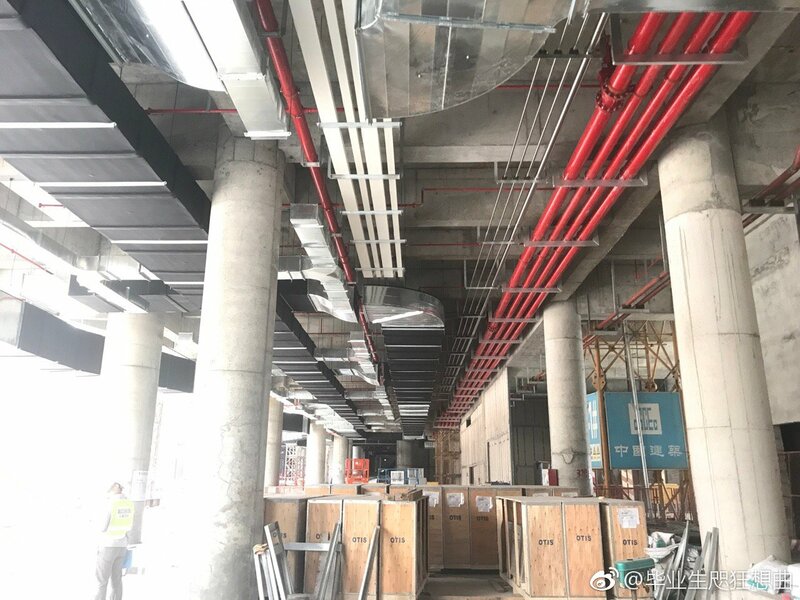 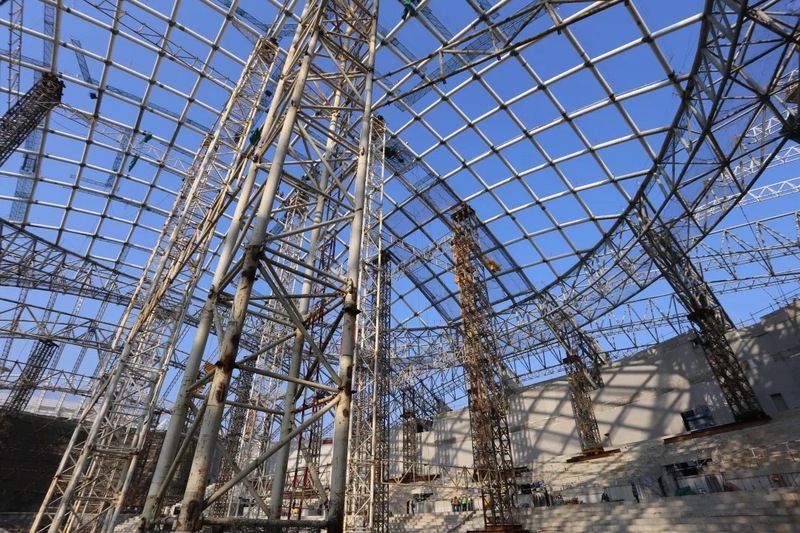 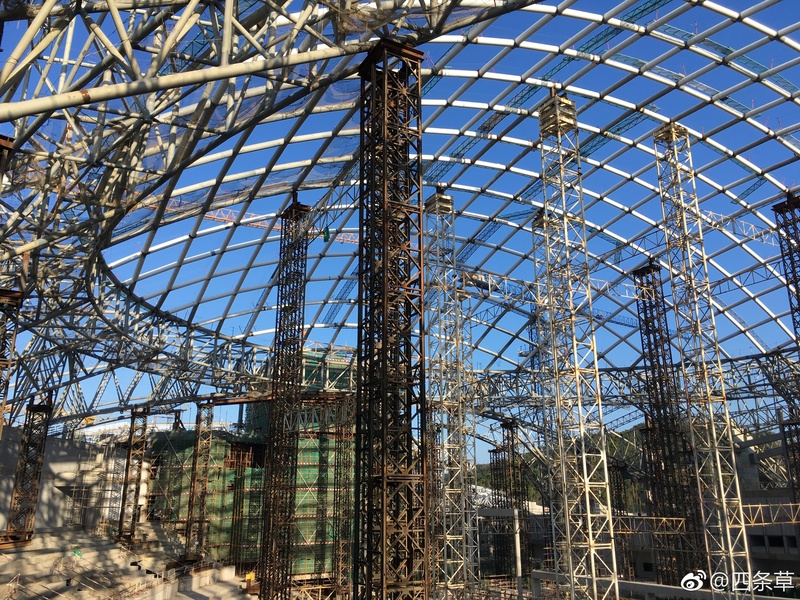 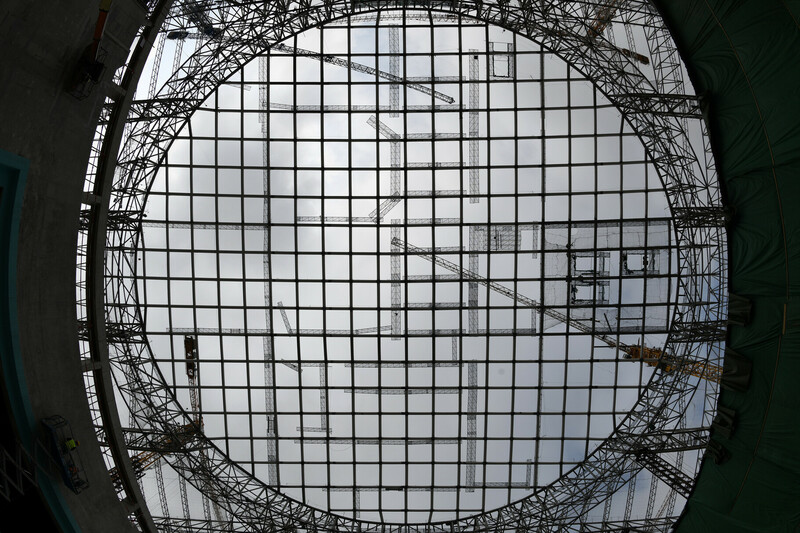 Excellent brand new photos of Chimelong Marine Science Museum which is "expected to be completed within the year"
Brand new photos of Chimelong Marine Science Museum (the steel structure is nearly 80% complete) and a photo pointing straight up at the under construction 26 floor hotel that's attached to the back. 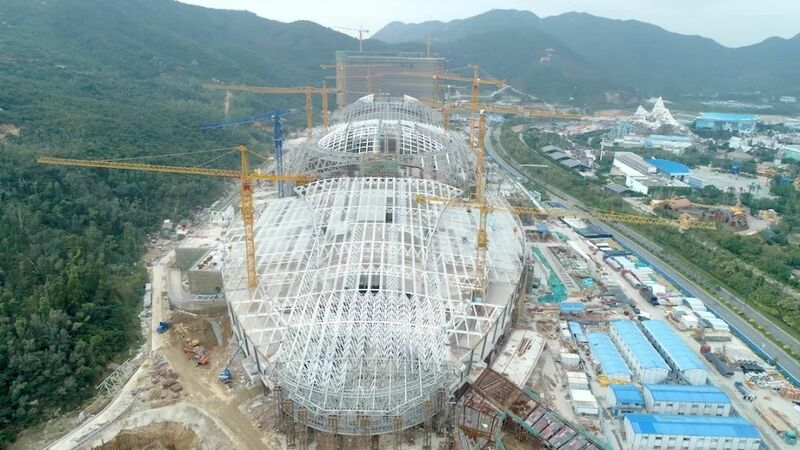 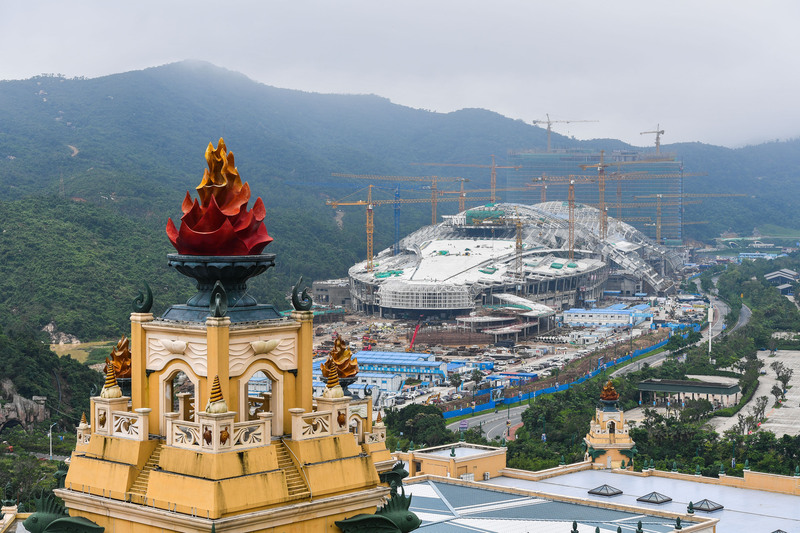 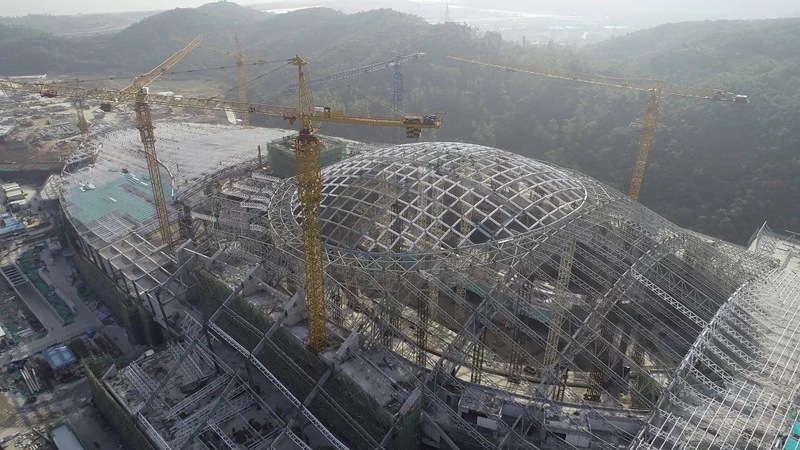 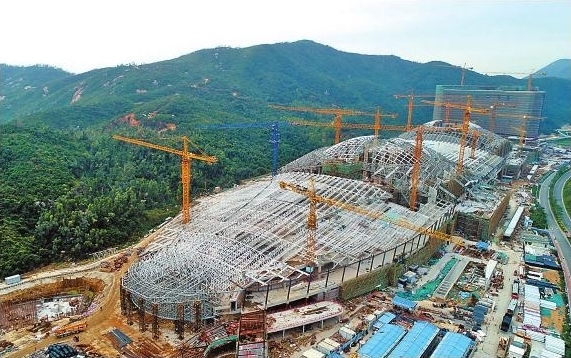 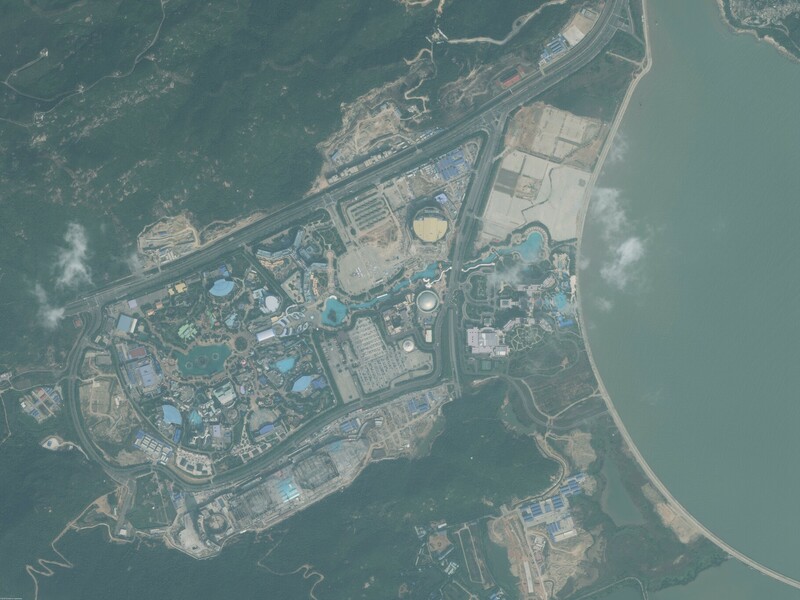 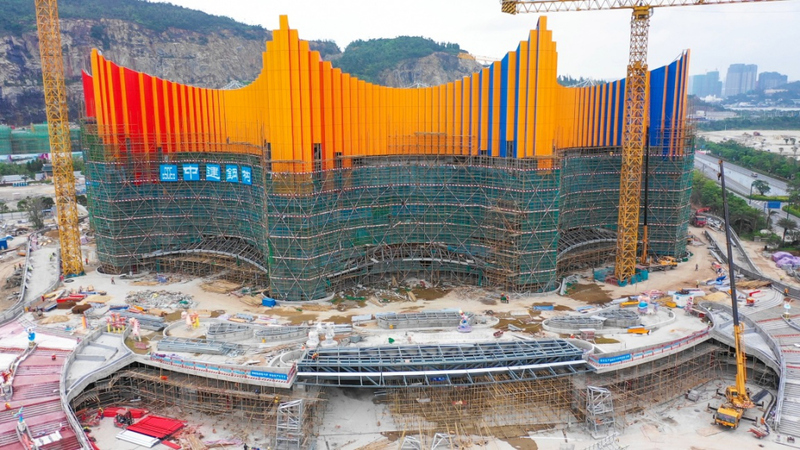 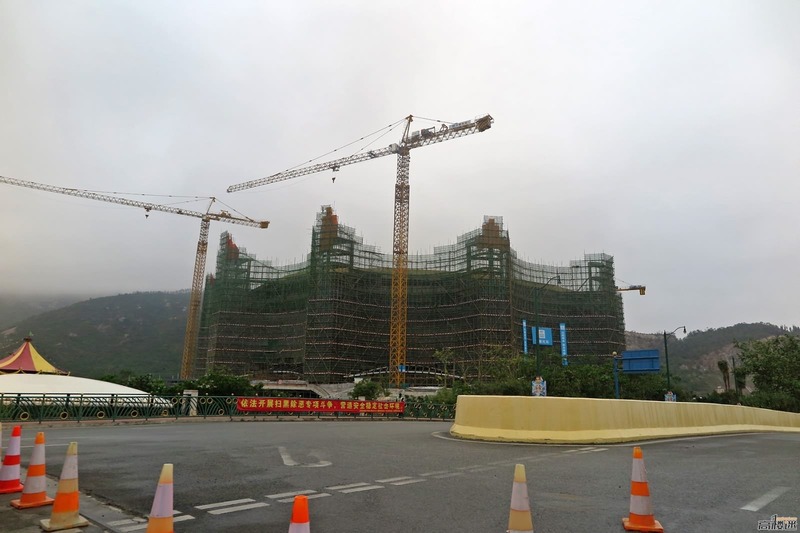 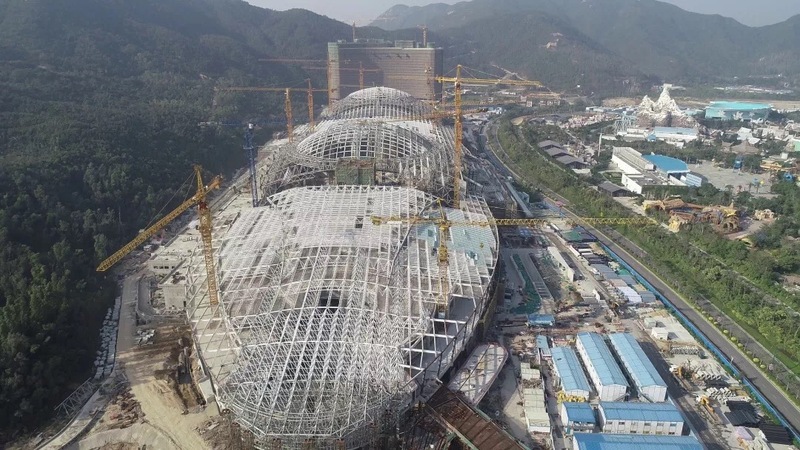 Chimelong is still aiming for this to be completed in the second half of the year with an opening during the summer (which would mean July, August, or beginning of September) but I think a completion at some point in 2020 is more realistic. 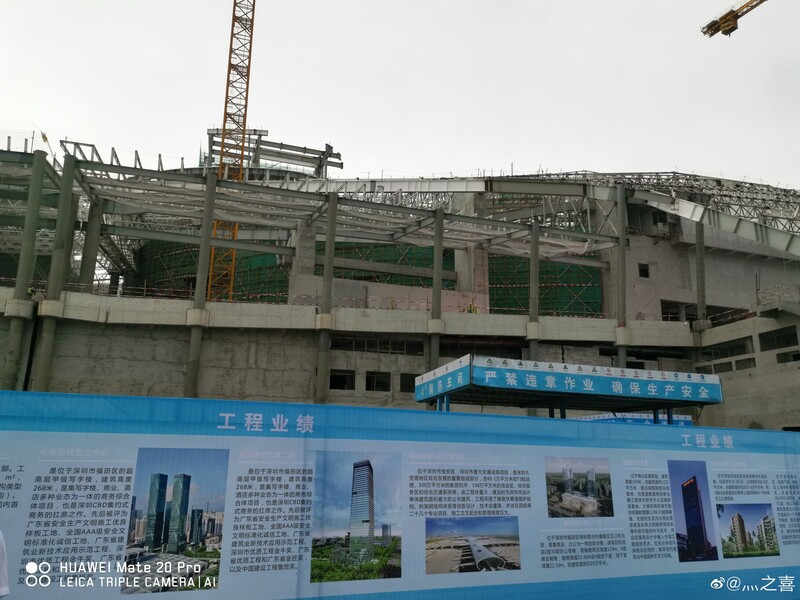 Down the street construction continues on the new Hengqin Island Theater and the light rail station. 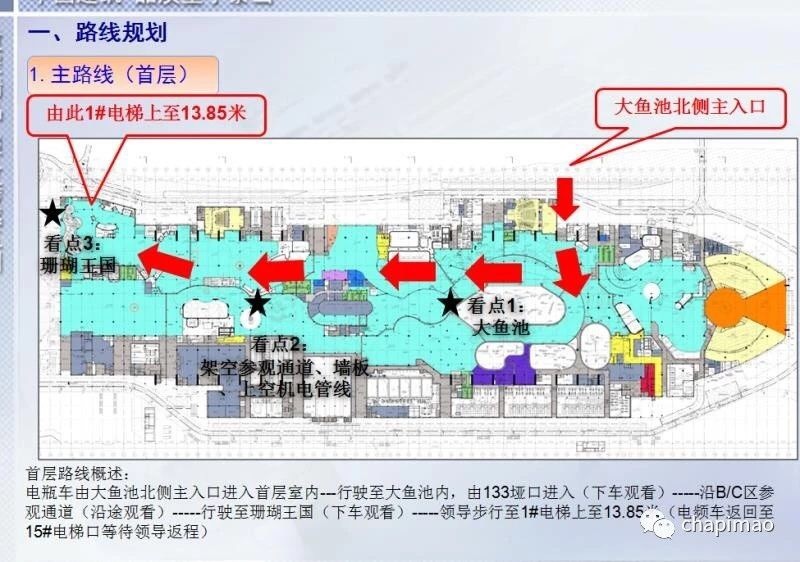 No plans have been announced for the large plot of land in the foreground. 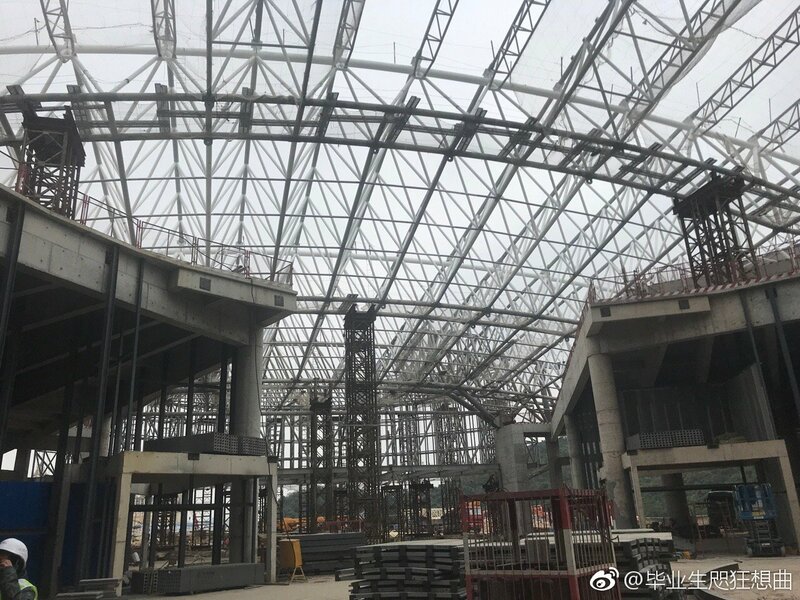 Recently it was used for a music festival.